We're looking for reports on the Raw house show in Baltimore and Smackdown in Richmond, VA to newstips@wrestlingobserver.com. On Monday will be Raw from the Wells Fargo Center in Philadelphia and a Smackdown house show in Newark, DE. Smackdown, 205 Live and Mixed Match Challenge will be Tuesday in Philadelphia. The mixed match challenge match is Braun Strowman & Alexa Bliss vs. Sami Zayn & Becky Lynch. With a rare opportunity to present an episode that reached a bit beyond WWE's usual audience, Raw's 25th anniversary show took place in New York City on Monday night. It was the most-anticipated Raw of the year, with WWE putting their full promotional force behind the event and inviting seemingly every available name from the past. With a rare opportunity to present an episode that reached a bit beyond WWE's usual audience, Raw's 25th anniversary show took place in New York City on Monday night. The most detailed coverage of the Enzo Amore allegations and firing is the lead story in the new issue of the Wrestling Observer. Look at all sides of the story, from the allegations by Philomena Sheahan, details of who was in the room, why WWE was so quick to fire him, her claims, claims of people who know her, what is in the text message, the problem with the police investigation, what is next for 205 Live and plans that have been scrapped. Also have a look at the WWE this week, including Raw 25, angles on the show, WrestleMania current plans, future of Brock Lesnar, Royal Rumble, the Takeover special, what audience flocked to Raw that usually doesn't, how Raw viewer patterns have changed since the last similar special, what age group nearly doubled from last week, and how the gender split changed. Read about the history of Raw, why it was moved quickly from the Manhattan Center, the move to two hours, how close the show came to being canceled and why it wasn't, when the show started making the company significant money, how Raw and Vince McMahon in 2005 were responsible for the start of a major sports franchise, the story of Raw going to Spike and back to USA, and what are really the longest lasting wrestling shows in U.S. television history. Full coverage of Raw 25 inside this issue. Check out the Podcastone situation and why people are leaving, more on the 2019 Royal Rumble plans, more on WWE stock and the move being made for a cheap WWE Network sub and the reason, George Barrios says strange things about WWE talent contracts, Hogan talks Bullet Club and the smoke to that fire, Cena movie gets Academy Award nomination, Cena up for lead for another movie, success of Dwayne Johnson's current movie, funny quotes from Michaels & HHH about Goldberg being a Hall of Famer from a few years ago, and more WWE injuries. Citing a number of factors, including the enormous pressure he's been under over the past year, the large company debt and what he sees as the future landscape of the business, Paul Heyman said he was in serious negotiations to sell either a majority share or all of Extreme Championship Wrestling. 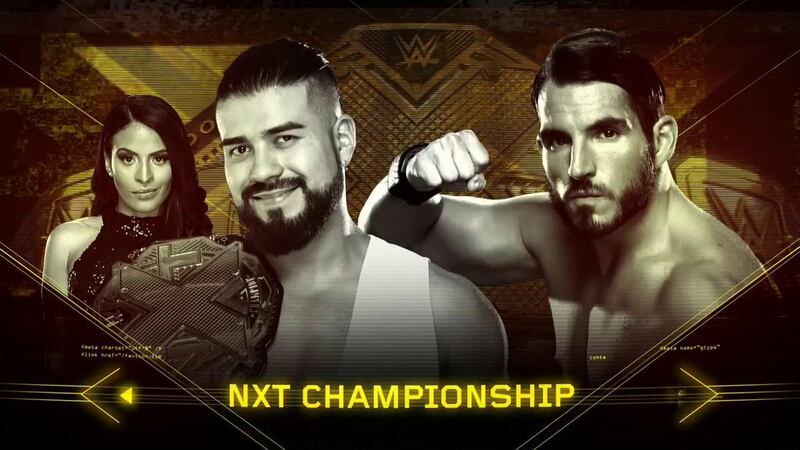 Almas also tweeted about tonight being a dream of his: “When I signed on WWE, I always had dreams, today is one of all these dreams here in philadelphia being in the main event." 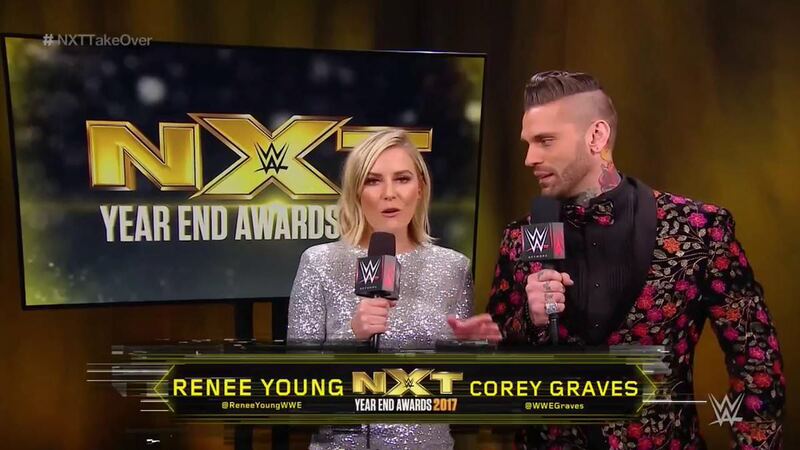 WWE showed Gargano and Candice LeRae arriving for TakeOver together in a brief video where Cathy Kelley previewed the main event. WWE noted that Nigel McGuinness isn't calling TakeOver tonight due to being under the weather. The Wells Fargo Center posted a time lapse video of the ring and stage being set up for TakeOver. Ronda Rousey has made two more Instagram posts from Colombia, which is where she’s filming the movie “Mile 22.” The latest post is from late this afternoon. PWInsider reported that The Undertaker, Michelle McCool, and EC3 are among those in Philadelphia this weekend. With all of the people who are in town for “Big Four” PPVs, it remains to be seen if that means much. Ricochet spoke to ESPN about his time at the Performance Center since reporting and called it one of the coolest experiences of his career. The Daily Beast has an article on a 2006 sexual assault allegation against Vince McMahon. The alleged incident was covered at the time and charges weren't filed by prosecutors. In an advertisement for Raw’s Elimination Chamber PPV, the T-Mobile Arena asked fans which 12 wrestlers they want to see in the Chamber matches. That would indicate that there are going to be two of them. Andre the Giant passed away on this date 25 years ago. The Four Horsemen (Ric Flair, Arn Anderson, Tully Blanchard, Barry Windham, and JJ Dillon) reunited at the Icons of Wrestling convention in Philly today. Flair also posted a photo with Sting from the convention. Randy Orton, who won the match, and other wrestlers rewatched and commented on last year’s Royal Rumble. In a post-Raw 25 video, Finn Balor and Shawn Michaels talked about what their potential dream match would have looked like. Michaels reiterated that there’s no chance the match happens now. WWE Shop is selling a Rusev Day calendar. Impact ratings were up very slightly this week, with the episode averaging 310,000 viewers after doing 309,000 last Thursday. The trend has been positive since the end of football season, and next week will be the first episode from the most recent set of tapings. Kenny Omega mentioned Rey Mysterio as someone from outside of NJPW that he wants to face. OTT will be presenting a show with all women’s matches in Dublin on April 1st. Brian Pillman Jr. cut his first promo in front of a live crowd last night. Kotoka, who wrestles for Dragon Gate, announced that he’s retiring on March 6th at Korakuen Hall due to the injuries that he’s suffered and surgeries that he’s undergone over the last couple of years. The Las Vegas Metropolitan Police Department clarified that neither Dana White nor his family had any involvement in an alleged attempted sexual assault that is being investigated. The incident is alleged to have occured at a “party involving juveniles” at White’s home. Ariel Helwani noted that Michael Bisping vs. Rashad Evans is on the table for the main event of UFC Fight Night in London and that a decision will be made soon. Stipe Miocic has opened as a favorite over Daniel Cormier in their champion vs. champion fight. WHEN: Sunday, April 8th, 2018 - T11:00 a.m. to 1:00 p.m.